And the winning star of the “L’ognion d’or” is …………….. Yes, the winner is ….. you !!! Great chance that you already have a fine collection of L’ognion d’or in the house. This radiant golden bulb, the Allium cepa we know best as the common onion. This little wonder is the bringer of flavour to so many dishes worldwide, that you can’t imagine life without it. The plant traveled from Afghanistan, to China, to India, to Egypt and Greece, to Italy. 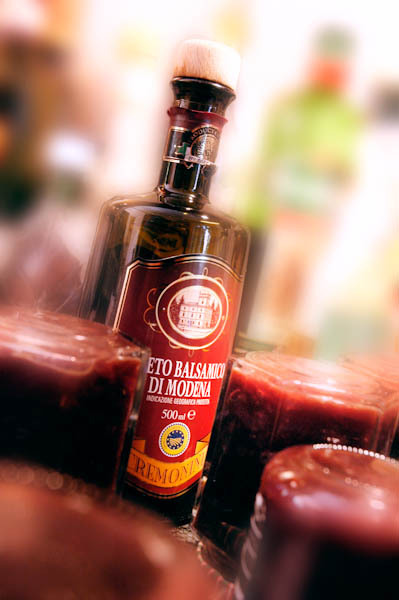 Once integrated in Roman cuisine it was carried over “the Roman highways” to every corner of Europe. 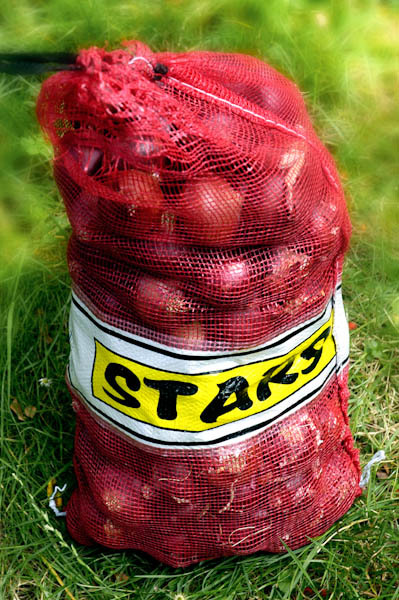 So when I came across a 10 kilogram, ( 22 pound ) sack of red onions the temptation was to big, as was the sack, and before I knew it was in the back of the car. I made a good bargain and at the same time a big problem. Sounds onion soup for four weeks appealing to you? 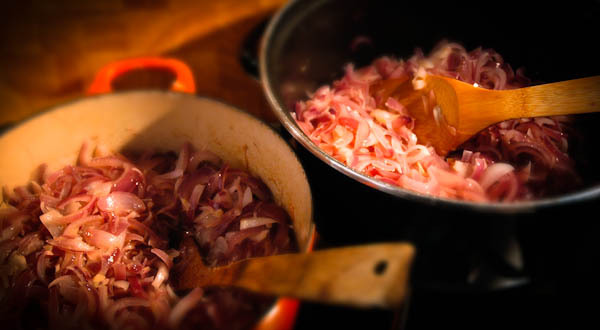 We have 10 kilo’s to go so lets get cracking with “Red onion marmalade”, a sweet and sour onion jam, which comes close to an English relish. A delight with meat dishes, poultry and game, but here we just love it with bread and cheese. 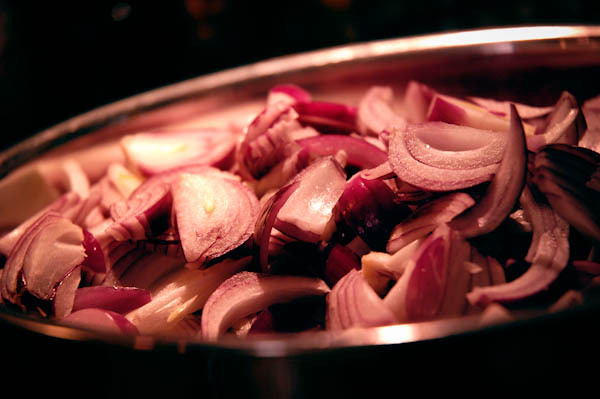 Half your onions, and slices them thin! In a pan with THICK bottom, heat some olive oil with the garlic. Then add and dissolve the sugar, then the wine and vinegar. Leave on a LOW fire for at least 30 minutes, stir regular and taste it! The end result is a deep coloured, silky spread with a sublime taste, layer after layer, wow. The smell of richness will be lingering through the house for at least a day and in addition your jars with handwritten labels will make a appreciated gift.